. A Gmail contextual gadget is a gadget that is triggered by clues in Gmail, like the content of a subject line or an email message. We recently launched Gmail Add-ons, which satisfy many of the same needs as Gmail contextual gadgets but also offer a better developer experience, cross-platform support, and more stability. We recommend that admins turn off their contextual gadgets and develop new or install existing Gmail Add-ons to serve their use cases. If Gmail contextual gadgets aren’t removed before August 1st, 2018, they’ll disappear automatically. On August 1st, 2018, we’re planning to shut down all Gmail contextual gadgets. A Gmail contextual gadget is a gadget that is triggered by clues in Gmail, like the content of a subject line or an email message. Basic Mobile Management for iOS—the ability to manage employees’ iOS devices, even if those employees don’t set up MDM agents or profiles. We’re now bringing this same feature to Android. 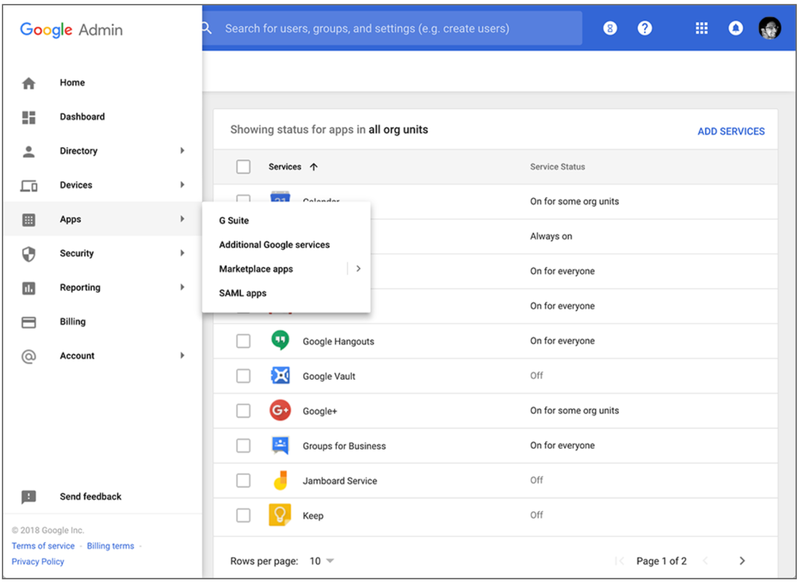 Starting today, G Suite admins can mandate basic security measures on the Android devices their employees bring to work, without requiring those employees to install the Google Apps Device Policy app on their devices. 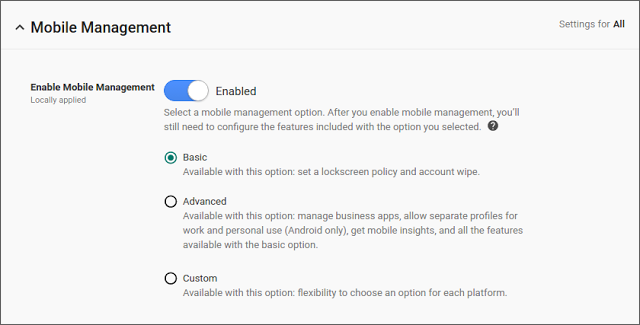 To do so, admins simply need to select “Basic” under Device management > Setup > Mobile Management > Enable Mobile Management in the Admin console. 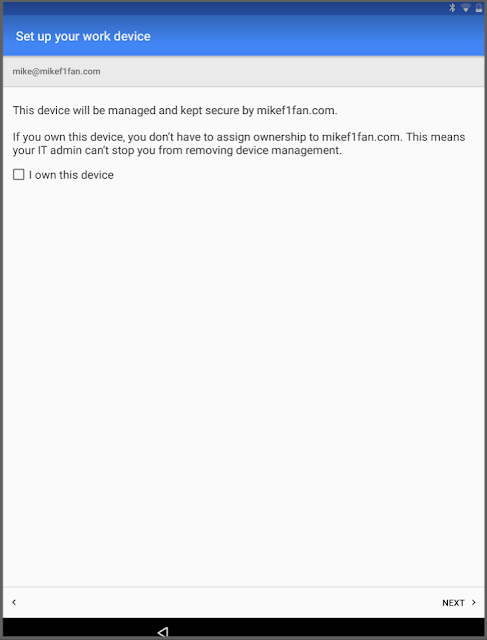 Wipe a corporate account (but not the entire device). View, search, and manage their device inventory. Basic Mobile Management makes life easier for end users as well, because it allows them to access their corporate accounts without risking their personal data being wiped. For more details, check out the Help Center. *Please note that you can only enforce a screen lock on devices running Android L or earlier if those devices have the Google Apps Device Policy app installed. Last year, we launched Basic Mobile Management for iOS—the ability to manage employees’ iOS devices, even if those employees don’t set up MDM agents or profiles. We’re now bringing this same feature to Android. This launch follows the previously announced Drive integration with Slack, where we added the ability to see notifications in Slack of activity happening in Google Drive. In order to take advantage of this feature, install the Google Drive integration today. Whether you’re trying to stay on top of Slack discussions, know what’s being collaborated on, or a new team member catching up on prior discussions, these event logs help you keep track of what’s happening to your files in both locations. We’re also launching international language support for our Google Drive integration. If you use Slack in French, Spanish, German or Japanese, the Google Drive bot will send messages and respond to you in your preferred language. Never miss an important update, on either Slack or Google Drive. We’re adding activity events to allow you to see, in Drive, when a file is shared or discussed from within Slack. Two types of actions are logged as events: someone sharing a file stored in Google Drive, and someone commenting—within Slack—on a Google Drive file that has been shared in Slack. In these events, you will see information about when the action occurred, who did it, and where it happened. The events in the activity logs are private to only those who have access to both the document, as well as the Slack channel or team where the document was shared or discussed. 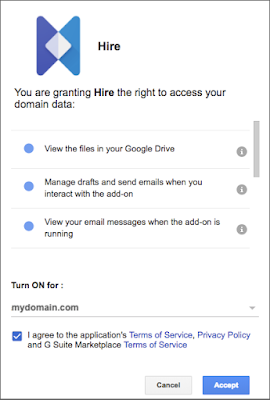 Developers can publish apps to domains other than their own (including developers with personal @gmail.com accounts). Developers no longer need to be admins of the organizations they’re publishing to. Businesses can more easily delegate app publishing to third-party developers. Private app publishing remains secure, because the developer must have the target organization’s Organization ID and an admin must approve any apps targeted to their organization. For more information, please see the Help Center. helps you do just that, by allowing you to scan and systematically take action on your users’ inbound and outbound email traffic. With this launch, we’re improving that capability, specifically in the area of attachment compliance. Previously, when you specified a custom* file type to search for in Gmail attachments, we only scanned the message’s MIME header for the attachment’s filename extension. This meant that if a sender renamed their attachment’s extension, it might not be flagged. Now, if you check the “Also match files based on file format (supported types)” box, we’ll also scan the contents of the attachment to determine its file type (provide it’s one of several supported types). This will improve attachment compliance and further prevent data loss in your organization. To learn more about setting up rules for attachment compliance, check out the Help Center. 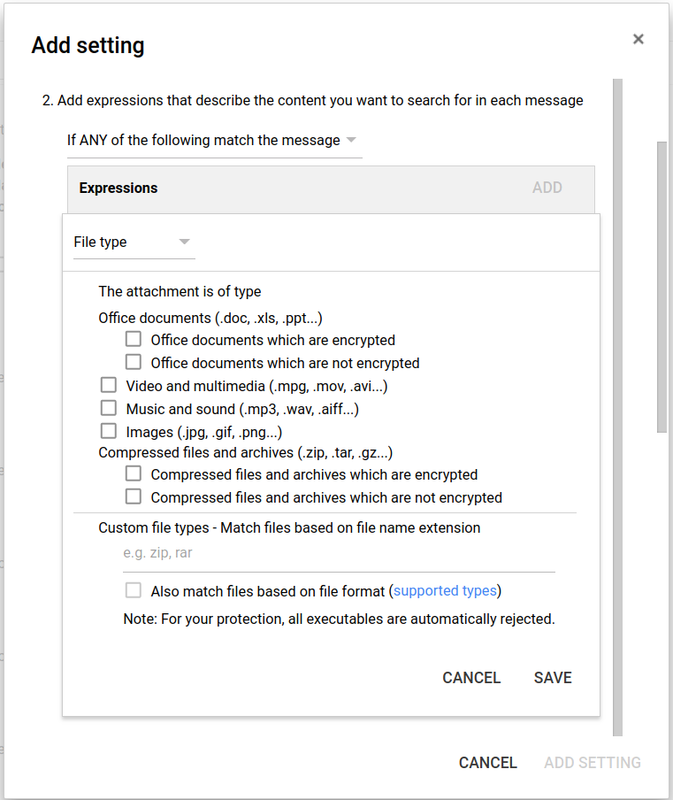 *Note that this launch only applies to searches for custom file types; we already scan the content of an attachment to detect other file types (like Office documents, videos, and images). As a G Suite administrator, one of your most important jobs is to keep your organization’s data from falling into the wrong hands. 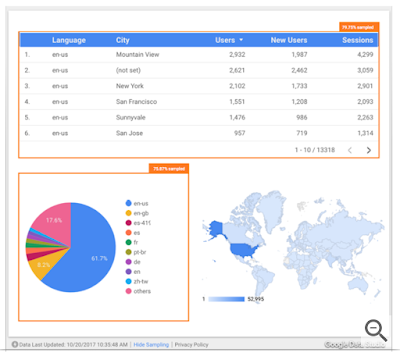 Gmail Data Loss Prevention (DLP) helps you do just that, by allowing you to scan and systematically take action on your users’ inbound and outbound email traffic. With this launch, we’re improving that capability, specifically in the area of attachment compliance. Jamboard, a collaborative digital whiteboard device with accompanying mobile and web applications, designed to take creativity and collaboration to the next level. Under the hood, the Jamboard service allows G Suite admins to manage their Jamboard devices, and enables G Suite users to interact with jam content on their phone, tablet, or on the web. Jamboard combines the same collaborative benefits of real-time co-editing as other G Suite applications like Google Docs with a blank canvas that allows ideas and projects to come to life. We’re excited to announce that starting today, the Jamboard service will become a core G Suite service. The Jamboard service is now covered under your existing G Suite agreement and offers the same technical support and service level commitments as any other core service. The Jamboard service will be removed from the list of Additional Google Services and added to the list of core G Suite services in your Admin console. Note that the Jamboard service is launching default ON, but will respect your setting for opting in to new services. To learn more about how a Jamboard device (currently available in the US, UK, and Canada, with more countries coming soon) can pair with the Jamboard service for the best possible team collaboration and creativity experience, visit the Jamboard website. Last year, we introduced Jamboard, a collaborative digital whiteboard device with accompanying mobile and web applications, designed to take creativity and collaboration to the next level. to manage, secure, and monitor mobile devices in your organization. Additionally, if you provide your employees with devices, you can apply policies that regulate app installation, network settings, security options, and more. 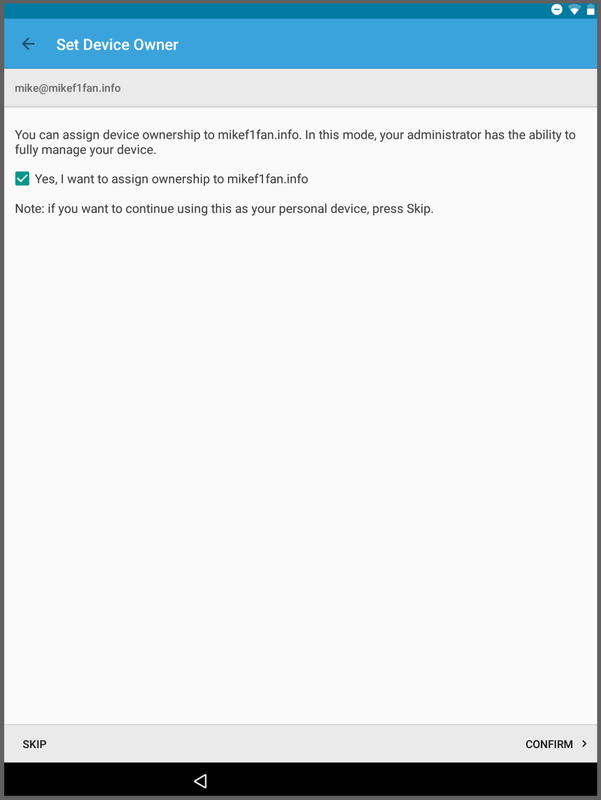 Currently, when a user with a brand new Android device (or one that’s recently been factory reset) adds their G Suite account to that device before adding their personal account, they have to check a box to assign device ownership to their organization. (If they add their personal account first, then they’re prompted to set up a work profile when they add their G Suite account later on.) We’ve learned that some users skip checking the box to assign device ownership, even if their phone is company-owned, resulting in a fragmented management experience. To encourage more users to make the correct selection, we’re changing the language and option on this screen. Starting on February 12th, 2018, users will be asked if they own the device they’re setting up. Unless they explicitly state that they own the device personally, ownership will be auto-assigned to your organization. Again, this will only occur when a user adds their G Suite account to a device before adding their personal account. We hope this will result in fewer company-owned devices that are incorrectly set up and an improved mobile management experience. 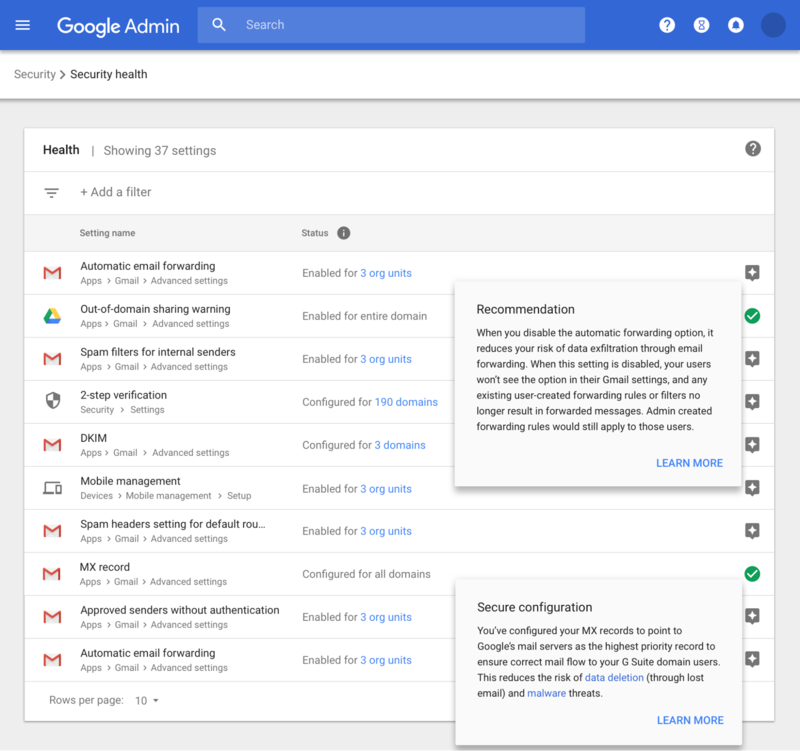 As a G Suite admin, you can use Google Mobile Management to manage, secure, and monitor mobile devices in your organization. Additionally, if you provide your employees with devices, you can apply policies that regulate app installation, network settings, security options, and more. Drive File Stream last year, we announced that the Drive desktop sync client for Mac and PC—a feature officially known as “Google Drive for Mac/PC”—would shut down completely on March 12th, 2018. In response to your feedback, we’re delaying that shutdown date to May 12th, 2018. We encourage enterprise organizations still using Drive for Mac/PC to transition to Drive File Stream. 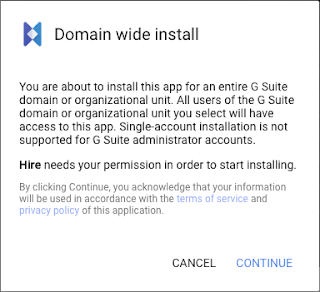 For non-G Suite users, we recommend Backup and Sync. For more information on choosing the right sync solution for your users, check out this Help Center guide. To help with the transition, on January 30th we’ll start showing pop-up notifications to G Suite accounts still using Drive for Mac/PC. These notifications will include instructions on how to install Drive File Stream. They’ll only be shown if your domain both allows Drive File Stream and shows Drive File Stream download links in the Drive interface. When we launched Drive File Stream last year, we announced that the Drive desktop sync client for Mac and PC—a feature officially known as “Google Drive for Mac/PC”—would shut down completely on March 12th, 2018. In response to your feedback, we’re delaying that shutdown date to May 12th, 2018. To help you better understand Hangouts Meet usage within your domain, we’re introducing more than 50 new metrics in the Reports API Customer Usage report. These new metrics provide details on the duration, size, and device-specific characteristics of the Meet calls across your organization. This will give you insights on how to improve your organization’s collaboration and productivity with Meet. You can learn more about the new metrics and how you can use them here. All Hangouts-related metrics that were previously provided under the Google+ metrics group have been migrated to a newly introduced metrics group called Meet. You can learn more about the migration to the new Meet metrics here. 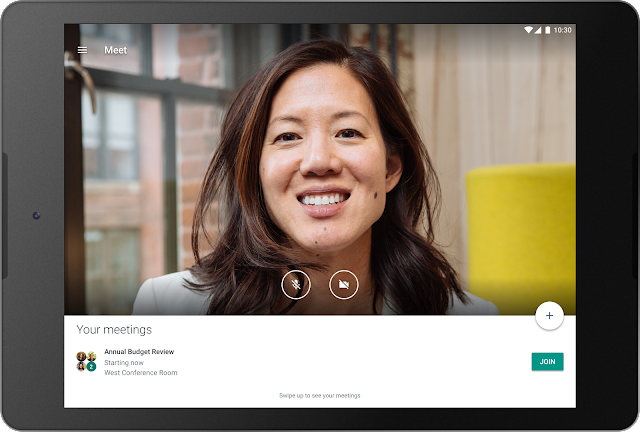 You can now use Hangouts Meet on your Android and iOS tablets. This will help your team members join meetings from any of their devices. Hangouts Meet helps you connect with your team from anywhere with easy-to-join video calls. We’re introducing new features to help you and your teams maximize how they collaborate. See Help Center for more details: Add, edit, or remove a link, bookmark, or page break. Before: Select shape > Format > Alt text. This option will be removed from the menu. After: Right click on shape > Alt text. This is the new way to add alt text to a shape. See Help Center for more details: Make your document or presentation accessible. Before: Select shape > Format > Change shape. This option will be removed from the menu. After: Right click on shape > Change shape. This is the new way to change a shape. The HTML view in Slides is being removed from the menu. These changes will only affect the visual menu. All options will still be available via keyboard shortcuts and the search box in the Help menu. We’ve grouped menu options based on how our customers use them to create a logical multi-layered menu. This makes the menu shorter and more scannable, helping you find things quickly. You can hover and click through the menu to drill down directly to the pages you want to see—so you’ll spend less time browsing, and more time doing. Delegated admins now only see the menu items they have access to with their level of administrative privileges. This makes their menu streamlined and simpler to use. To learn more about the Admin console and how to use it, visit the Help Center. We’re launching a new side navigation menu which will make it easier to see, find, and directly navigate to the information and settings in your Admin console. the rollout of international Hangouts Meet dial-in phone numbers for G Suite Enterprise domains. This option helps your team to stay connected, wherever they are. We’ve added this functionality for nine additional countries: Austria, Belgium, Czech Republic, Finland, Ireland, Norway, Romania, Switzerland and Turkey. In October 2017, we announced the rollout of international Hangouts Meet dial-in phone numbers for G Suite Enterprise domains. This option helps your team to stay connected, wherever they are. We’ve added this functionality for nine additional countries: Austria, Belgium, Czech Republic, Finland, Ireland, Norway, Romania, Switzerland and Turkey. 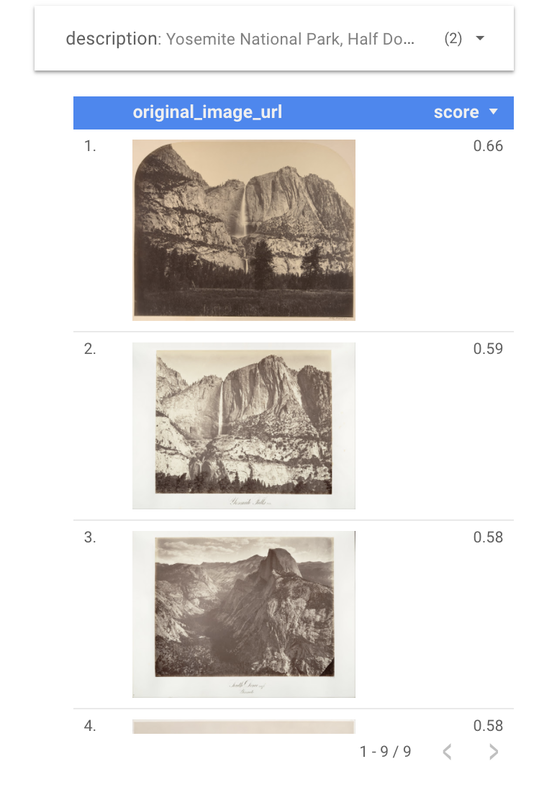 What's New in Google Data Studio? Need to narrow down a large data set? Pivot Tables take the rows in a standard table and pivot them so they become columns. This lets you reorganize metrics and dimensions, and group and summarize the data in ways a standard table can't provide. Pivot tables also help you analyze relationships between data points that might otherwise be hard to spot. Coordinated Coloring binds colors to specific data for easy comparison of metrics and dimensions across different visualizations. When a new visualization is created, Data Studio automatically binds colors to the data, so that color:data pairs stay consistent with all filters and versions. Coordinated coloring is automatically turned on for all new reports, and you can add it yourself to old reports. data (with orange indicator); the geo chart doesn't. Google Analytics often samples data to provide accurate reporting in a timely manner. 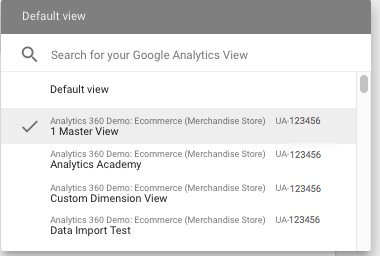 Data Studio reports now includes a simple Google Analytics Sampling Indicator to show you any component that contains sampled Analytics data. Apply % of total, difference from total, or % difference from total to metrics from within the report. Display Images in Tables: The new IMAGE function is a useful way to display images in tables -- for instance, adding YouTube video thumbnails or product images to your reports. Data controls let each team select the accounts that are relevant to them. Data Control updates: Data Control lets every user bring their own data to existing Data Studio reports. 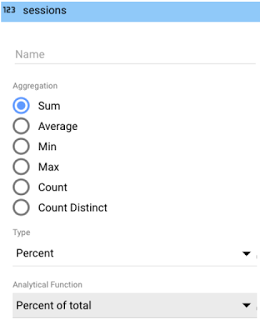 This means every user can select from a list of their own accounts to populate the visualizations -- so there's no need to build new reports for every account and user. This makes it possible to scale report “templates” across a number of users with different access to accounts, an important use case for agencies or companies with subsidiaries. And now Data Control supports Attribution 360 (TV Attribution) and DFP (DoubleClick for Publishers) data sets. We hope these new features will help you continue to make the most from Data Studio. Keep the data rolling! Note: Though not an official G Suite service, Data Studio is currently available globally for free. You can already use Braille displays to read and edit text in Docs, Slides and Drawings. Now we’re adding Braille support to Sheets as well. You’ll be able to use a Braille display to read and edit cell contents as well as navigate between cells in a sheet. At the moment, Braille support in Sheets will only be available on Chrome OS with the ChromeVox screen reader. We’re working to add support for other platforms and screen readers. See our Help Center to find out how to use a Braille display with Sheets. We recently added screen magnifier support to Docs and Sheets. Now screen magnifiers will also work with Slides and Drawings. You can use screen magnifiers with Docs, Sheets, Slides, and Drawings on Mac and Chrome OS devices. See our Help Center to learn how to use screen magnifiers with Google Docs editors. We want to make sure our products work well for everyone. That’s why, as part of our ongoing accessibility initiatives, we’re launching new features for Google Sheets, Slides, and Drawings. Specifically, we’re adding Braille support in Google Sheets, and screen magnifier support in Google Slides and Drawings. You can now search for content in a specific folder in Google Drive. Select the drop-down in the search bar and choose the folder you want from the Location menu, or right-click on a folder and search within that folder. Only folders that are within your My Drive or within Team Drives can be searched; if you have a folder that is shared with you, first add the folder to your My Drive. 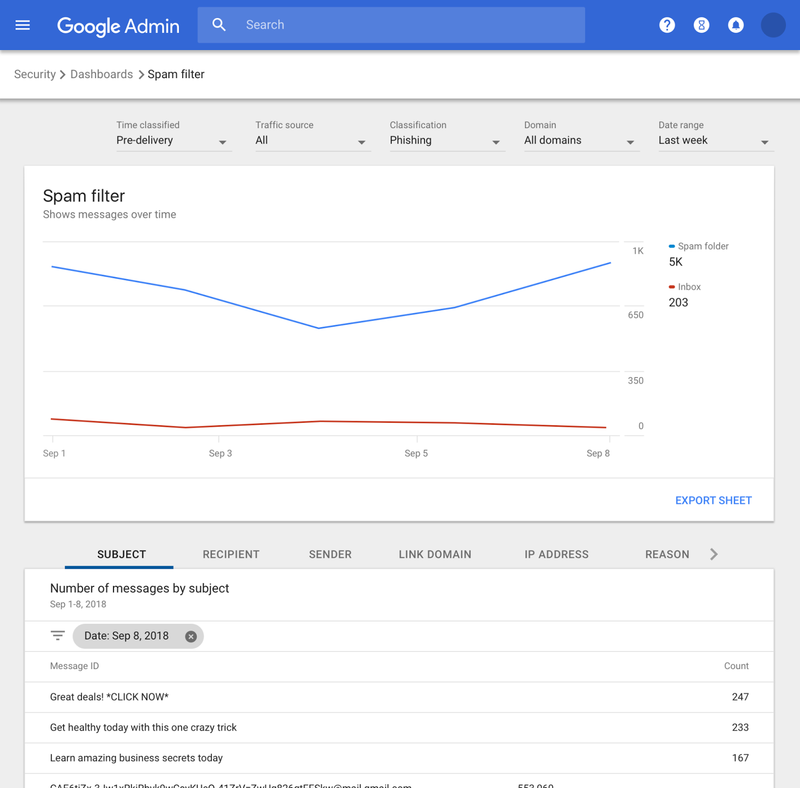 This privilege grants a user access to Gmail’s Email Log Search feature, which makes it easy to track message delivery, view the impact of certain policies on email flow, and identify the IP addresses of connecting servers. G Suite admins can configure policies and settings to quarantine certain email messages, helping to prevent spam, minimize data loss, and protect confidential information. This privilege gives a user access to the Admin Quarantine, where they can allow or prohibit those messages from being delivered. Note that this privilege won’t allow a user to view or change any Admin Quarantine settings. This privilege also gives a user access to the Admin Quarantine, but only to those quarantines for which they’re part of the quarantine reviewers group. Note that this privilege, like the one above, won’t allow a user to access any Admin Quarantine settings. Super administrators can delegate these privileges to users by clicking CREATE A NEW ROLE in the Admin roles section of the Admin console and then selecting Services > Gmail and the specific privilege from the Privileges menu. Managing the secure and efficient flow of email is critical to any organization’s success, but it can be a massive undertaking for a G Suite admin. To make this effort a bit easier, we’re introducing three new Gmail privileges that G Suite super admins can grant to other users—without needing to give them super admin status: (1) Email Log Search, (2) Access Admin Quarantine, and (3) Access Restricted Quarantines. Gmail Add-ons, which allow you to work with your favorite business apps—directly from Gmail. 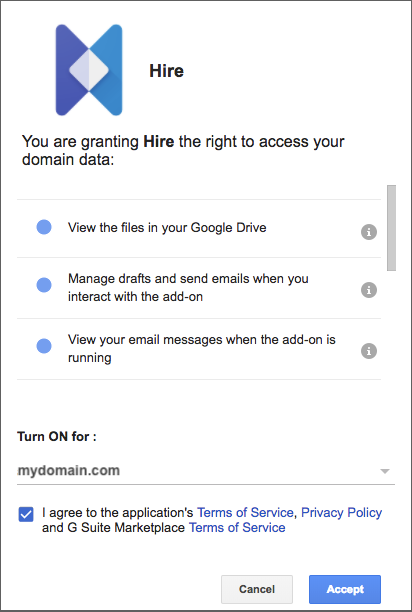 To make it super easy for users to access these helpful tools, we’ve now made it possible for G Suite admins to install Gmail Add-ons for their entire domains. To install an Add-on, click the Settings gear icon in Gmail and select “Get add-ons.” For additional info, see the Help Center. They’ll be able to install Gmail Add-ons for their own G Suite accounts before they’re published, to aid in the development process. Previously, this was limited to their personal Gmail accounts. They’ll be able to publish Gmail Add-ons to users in their own G Suite domains. In addition, they'll be able to publish to the general public, after requesting and receiving publication permission. Stay tuned to the G Suite Developers Blog to learn more about these two developer capabilities and when they’ve launched. 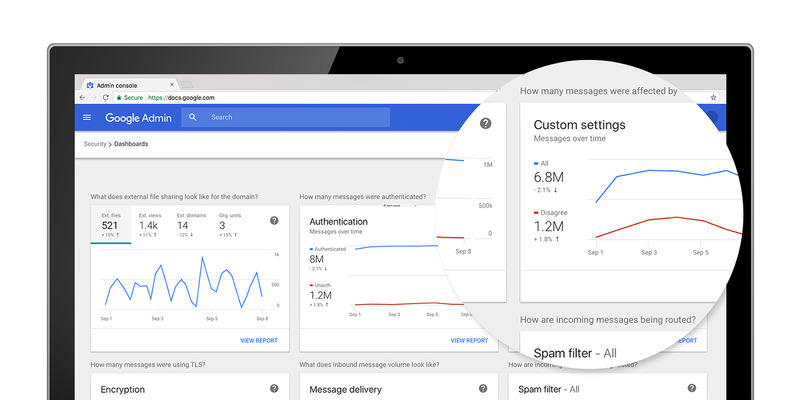 These new features make it easier for users to take advantage of Gmail Add-ons and breeze through their email-related action items—without ever leaving Gmail. 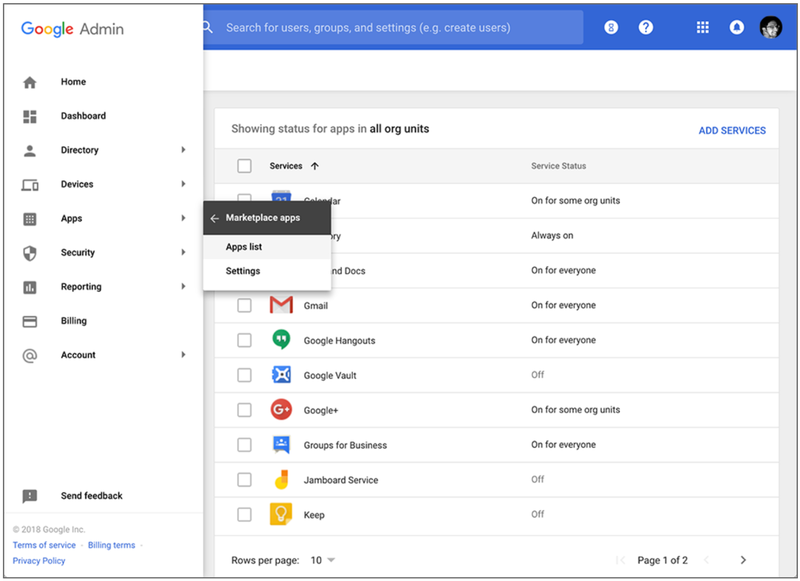 We recently launched Gmail Add-ons, which allow you to work with your favorite business apps—directly from Gmail. 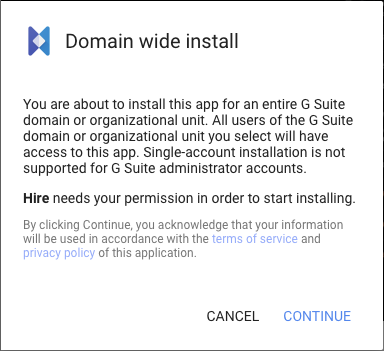 To make it super easy for users to access these helpful tools, we’ve now made it possible for G Suite admins to install Gmail Add-ons for their entire domains. To install an Add-on, click the Settings gear icon in Gmail and select “Get add-ons.” For additional info, see the Help Center. a new user interface (UI) for Google Calendar on the web. As a reminder, admins have several options for how their users will transition to this new UI. On January 8th for Rapid Release domains (and January 15th for Scheduled Release domains), we’ll begin auto-upgrading users whose domains are set to the automatic (default) rollout option. In this phase, users will still have the option to opt out of the new UI until February 28th, 2018, when all users will be fully upgraded. Please note, any individual users who had manually opted out of the new web UI previously will not be upgraded until February 5th. Additionally, while this opt-out phase does not impact domains whose admins have selected a manual rollout, users in these domains will still be upgraded to the new UI on February 28th, 2018, with no option to opt out. In October 2017, we announced a new user interface (UI) for Google Calendar on the web. As a reminder, admins have several options for how their users will transition to this new UI. Check out the latest "What's New in G Suite" launch recap [pdf] for a roundup of all G Suite launches from December 2017.